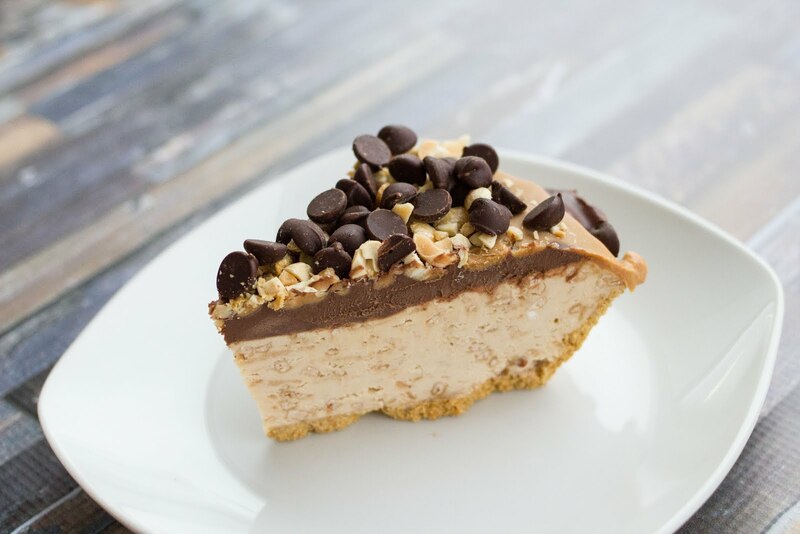 The love for peanut butter + chocolate desserts is real over here. 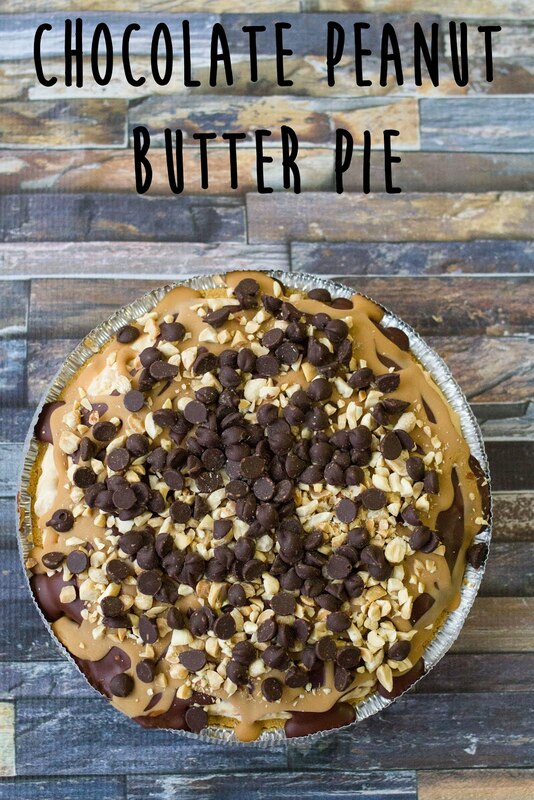 This pie recipe came from a need to use some of my baking supplies. Why are there 3 graham cracker pie crusts in the pantry? 3? Really? I had asked Reid if he wanted to help make the pie and the answer was no. Until I got out the chocolate chips at the end. 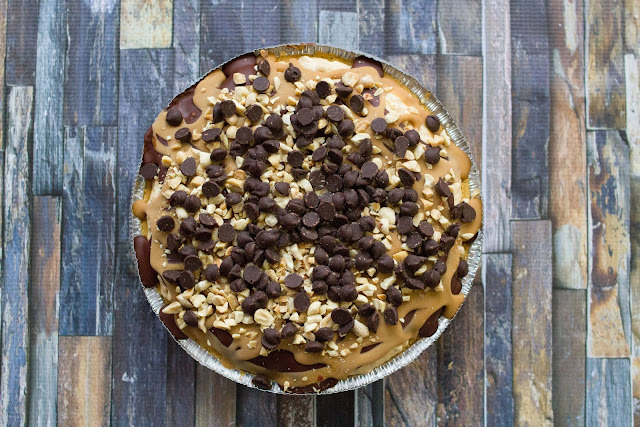 After snacking between chocolate and peanuts, he took it upon himself to measure and garnish the top of the pie. Particularly, one spot that he felt needed a lot of chocolate chips. This pie was super yummy and simple to make. It also took no time at all for it to disappear from the freezer. 1. Add 1C heavy cream to a mixing bowl and beat on high until firm peaks form. 2. In a separate mixing bowl, beat 1 C peanut butter and cream cheese until smooth. 3. Add the confectionary sugar, toffee bits and vanilla and beat until smooth. 4. Gently fold the whipped heavy cream into the peanut butter mixture until blended. 5. Fill the pie crust with the filling, then freeze for an hour. 6. Once frozen, add the 1/2 C heavy cream and 1/2 C chocolate chips to a bowl and microwave until the chocolate it melted. Stir frequently. 7. 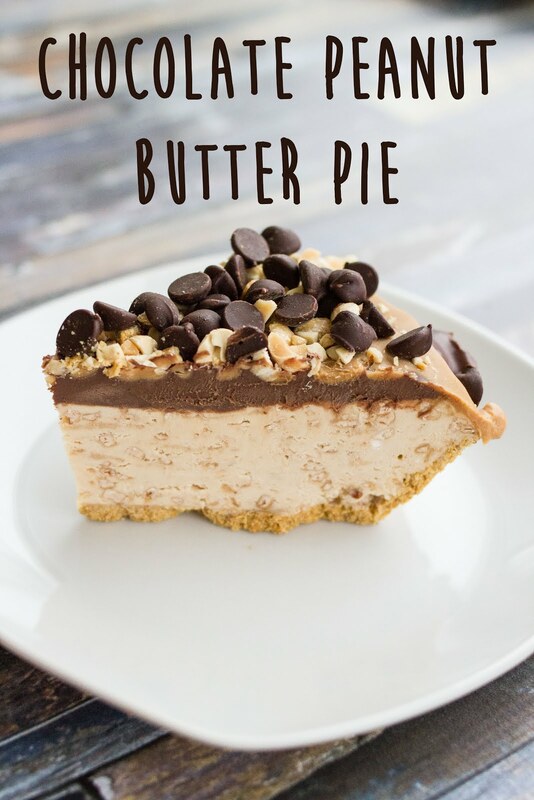 Once smooth, beat cool to luke warm before spooning over the peanut butter pie. 8. To garnish, melt 1/4 C peanut butter and drizzle over pie. 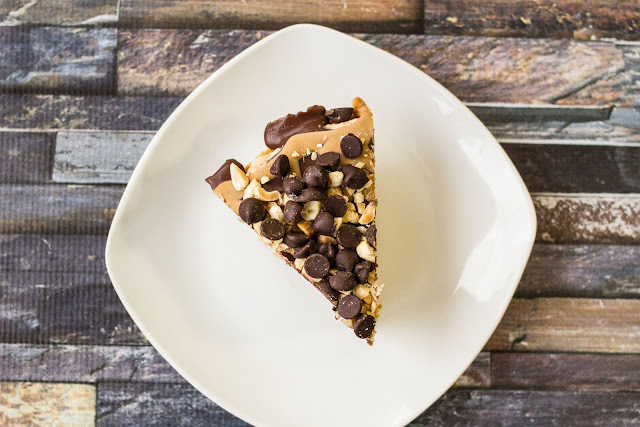 Sprinkle with peanuts and chocolate chips. 9. Freeze for 2+ hours before serving.